Although both are used for practice, each is quite different in design and appearance. 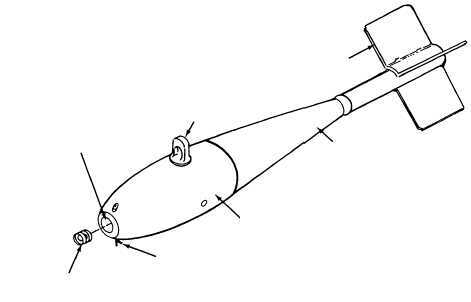 MK 76 MOD 5.The 25-pound, solid metal-cast, Mk 76 Mod 5 practice bomb (fig. 8-3) has a teardrop-shaped body. 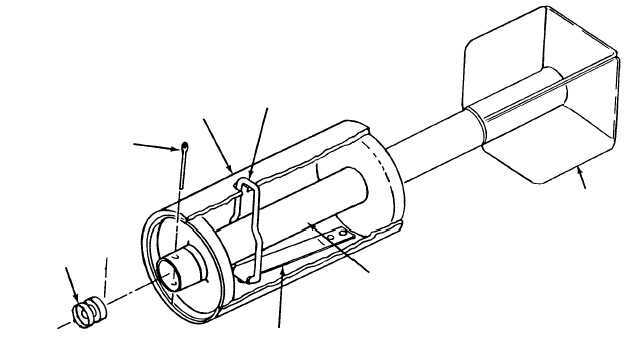 It is centrally bored to permit the insertion of a practice bomb signal cartridge. The after body, covering the tail tube, is crimped to the bomb body and has welded-on conical tail fins. The bomb has single-lug suspension and is painted blue with identification nomenclature s stenciled in white letters on the body. The Mk 76 Mod 5 subcaliber practice bomb is specifically designed to simulate unretarded weapon delivery. BDU-48/B.The 10-pound BDU-48/B practice bomb (fig. 8-4) is a thin-cased cylindrical bomb used to simulate retarded weapon delivery. The bomb is composed of the bomb body with a bore tube for the installation of a single cartridge, a spring-loaded retractable suspension lug, firing device, and box-type fin assembly. The bomb is painted blue with identification nomenclature stenciled in white letters on the body. CLUSTER BOMB UNITS (CBUs) Cluster bomb units (CBUs) are weapons that carry and dispense small bomblets over a large target area. These weapons are designed to destroy material and 8-8 INNER CAVITY/ CARTRIDGE CHAMBER LUG BOMB BODY RETAINING COTTER PIN FIRING PIN HEAD MK-1 AFT BODY ASSY FIN ASSY ANF0803 Figure 8-3.Mk 76 Mod 5 practice bomb. COTTER PIN BODY ASSEMBLY SUSPENSION LUG SIGNAL CARTRIDGE TENSION SPRING FIN FIRING PIN ASSEMBLY ANF0804 Figure 8-4.BDU-48/B practice bomb.